unless your name is mike love or barry manilow, it's unlikely bruce johnston (left) is your favourite beach boy. that said, he did whip out a really neato distorted organ solo on the title track of wild honey. 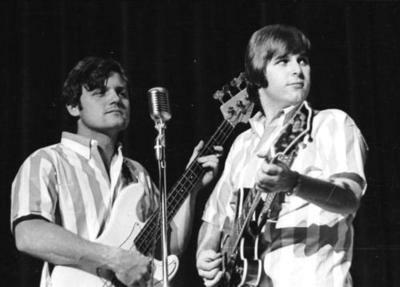 if your name is joe hartfeil, your favourite beach boy may well be carl wilson (right), who dominates much of the album as a newly r&b addicted long-haired wildman version of himself. this album really rocks and carl did much of the production and lead singing. neither carl nor bruce looked anything like this when that album came out in the late sixties.